This watch strap from Universal fits on the watch model 305R.02. Please click on Alternatives to view all alternative straps. The lug width of this watch strap is 26mm, the middle of the strap has a width of 24mm. This watch strap has a straight end. This means that this watch strap will also fit on other watch models (from the same brand but also other brands), provided that the width of the strap is the same and the original strap also has a straight end. Please read the Product features for more information about this strap. This watch strap from Universal fits on the watch model 305R.02. Please click on Alternatives to view all alternative straps. 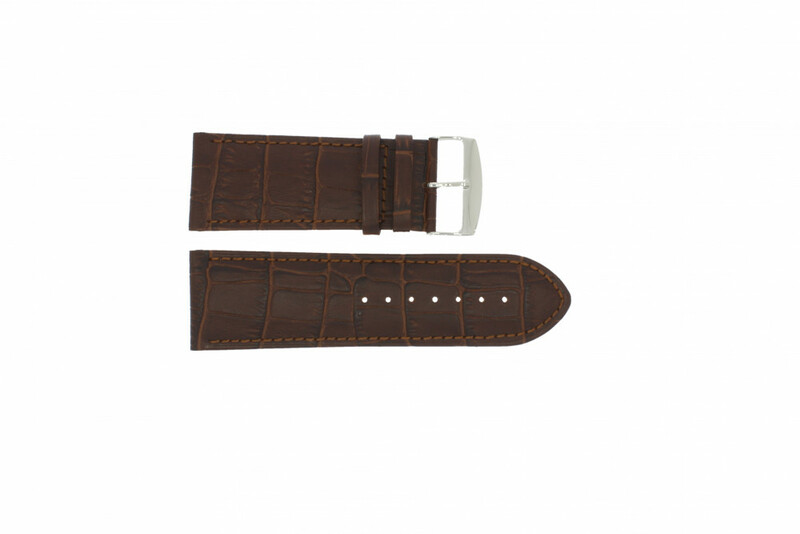 The lug width of this watch strap is 26mm, the middle of the strap has a width of 24mm. This watch strap has a straight end. This means that this watch strap will also fit on other watch models (from the same brand but also other brands), provided that the width of the strap is the same and the original strap also has a straight end. Please read the Product features for more information about this watch strap.